You shouldn't. You shouldn't believe in bigfoot anymore than you believe in ground hogs. Believe the evidence. 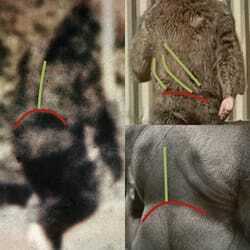 If even one piece of evidence is true then bigfoot exist because they're either real, or they're not. There is no sliding scale. 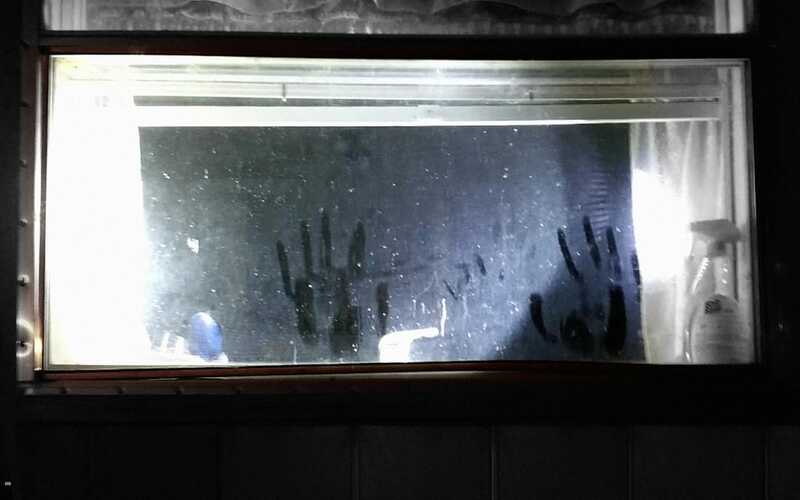 Trace Evidence: Bigfoot hand prints on a window documented moments after a sighting. Date: 09.05.2015 Courtesy of Brenda Harris. Compared to adult hands the hand prints are large and unusually shaped, especially the thumb. Bigfoot are huge animals. It seems like they would need a lot of space. Additionally, humans seem to be everywhere. Is there enough room? To determine "room available," let's define "room available" as "forested land with a low population density." To determine "room needed," we'll identify a living population of large apes then comparing the area they need to the area available in the U.S.
HOW MUCH LAND IN THE U.S. HAS A LOW POPULATION DENSITY? HOW MUCH OF THE LAND WITH LOW POPULATION DENSITY IS FORESTED? That means 33% of the U.S. is forested land with low human population density." HOW MUCH LAND DOES A LARGE APE NEED? Why use the The Bili ape for a comparison? 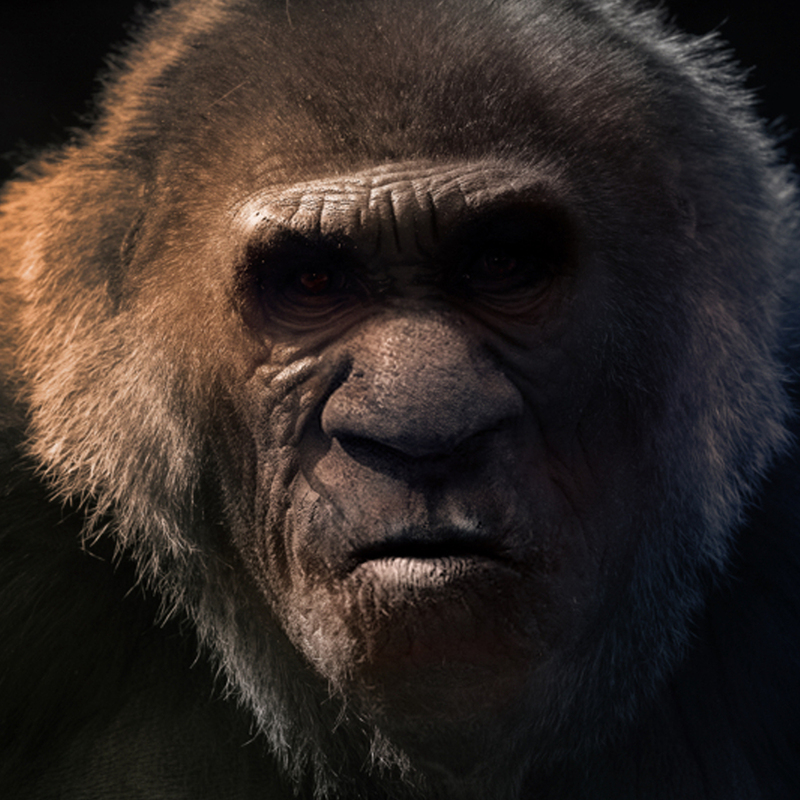 It's an omnivorous, human-sized primate discovered in 2003. It has been reported to walk upright, bipedally and is very large at 5 - 5' 6" tall. There is enough room for both bigfoot and humans to live. Humans concentrate in cities. 747 million acres of land are available to bigfoot. That's 50x more space than a population of Bili Ape needs. There are at least 20 U.S. states with enough forest-land to support a population of large apes. Image: Swiss wildlife photographer, Karl Amman. Check this out: half of the world's population lives in just 1% of the land. The yellow spaces show where the humans are. The black spaces show the vast amount of area where the humans mostly are not. 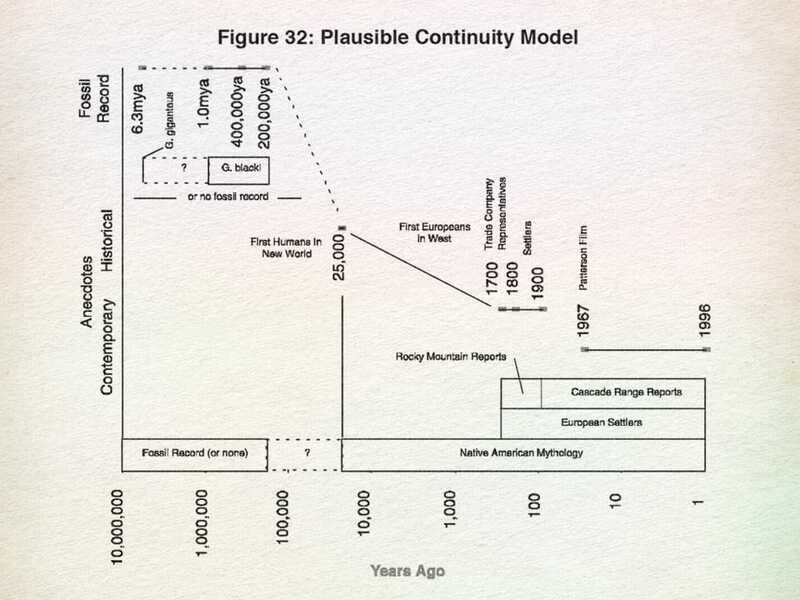 "Whether the evidence arises from North America or Eurasia, we have a consistent picture of these creatures. People are reporting creatures of the same size, weight and coloration independently from both sides of the continent. Reported behaviors, a few examples of which include vocalizations, speed of movement, sleeping positions, hunting methods and swimming ability, are ubiquitous and come from every part of the world where they are seen." One example of consistent behavior is tree and stick manipulation A.K.A. Tree Structures. 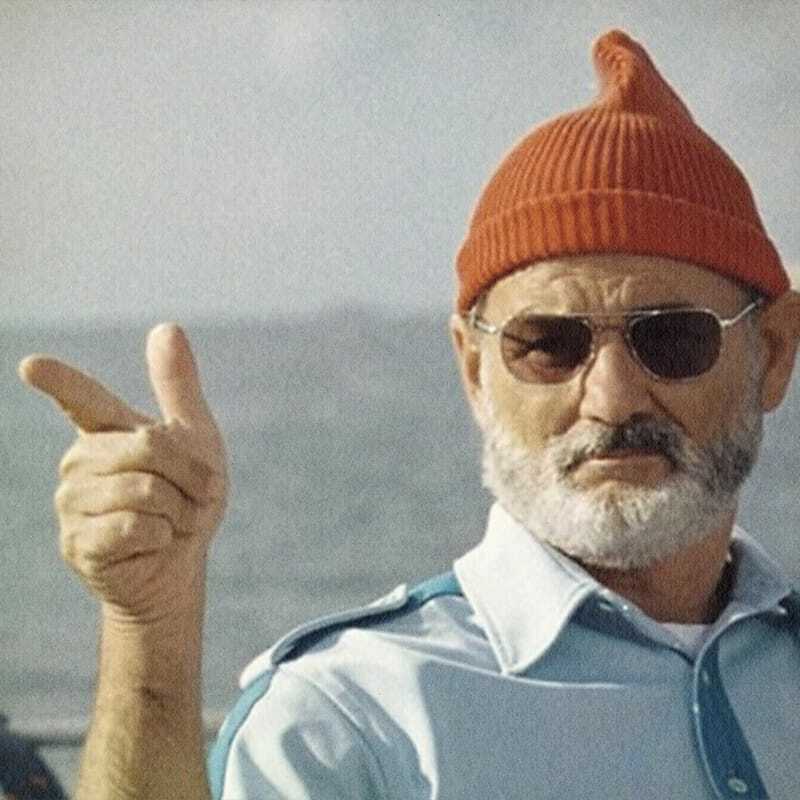 If you were told that Bill Murray robbed a bank, would you believe it? Maybe, maybe not. It seems unlikely that rich, famous, lovable, powerful Bill Murray would rob a bank. But, what if multiple witnesses saw Bill Murray robbing a bank? What if he left fingerprints at the bank while robbing it? What if that bank (with the fingerprints and the witnesses) also had video of Bill Murray committing the robbery? Then would you believe it? With this collection of evidence — unlikely or not — it would be irrational not to believe that Bill Murray robbed the bank. In 1967 multiple witnesses saw a bigfoot. The footprints it left have been cast. It is on film. 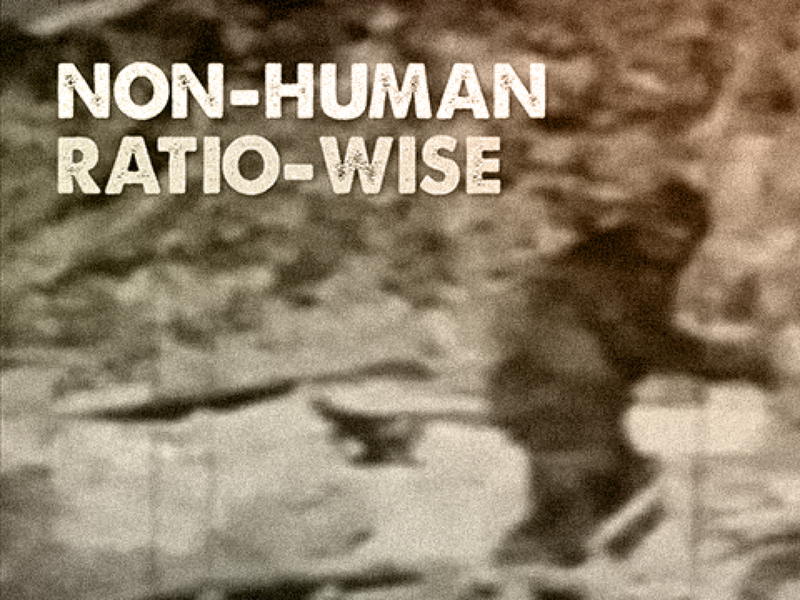 With this collection of evidence — unlikely or not — it would be irrational not to believe that bigfoot are real. In order for a bigfoot to be encountered, it must exist. 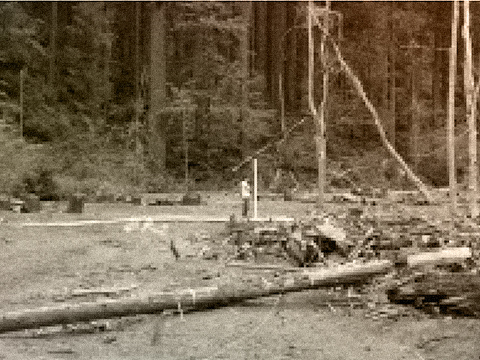 In 1967 Roger Patterson and Bob Gimlin encountered a bigfoot at Bluff Creek in Humboldt County, California. They documented the encounter on film and made casts of its footprints. Why is The Film So Important? Here's why: The film shows a bigfoot. 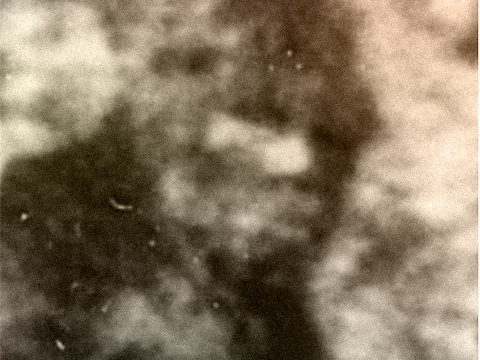 This bigfoot represents the gold standard against which other images can be compared, at least until a holotype becomes available. Roger Patterson and Bob Gimlin went looking for, and found a bigfoot. 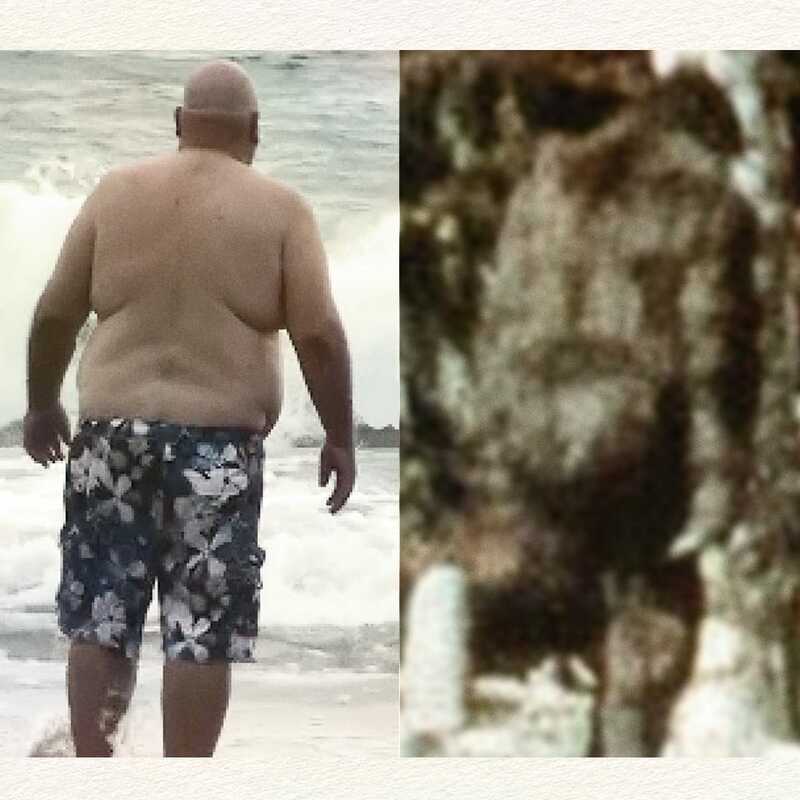 Roger Patterson filmed the bigfoot. This film, taken on October 20, 1967 has become the most famous "Bigfoot" film footage ever captured, and the subject in the film, looking back at the camera while walking away, has become the iconic photo people around the world now associate with the very word "Bigfoot". 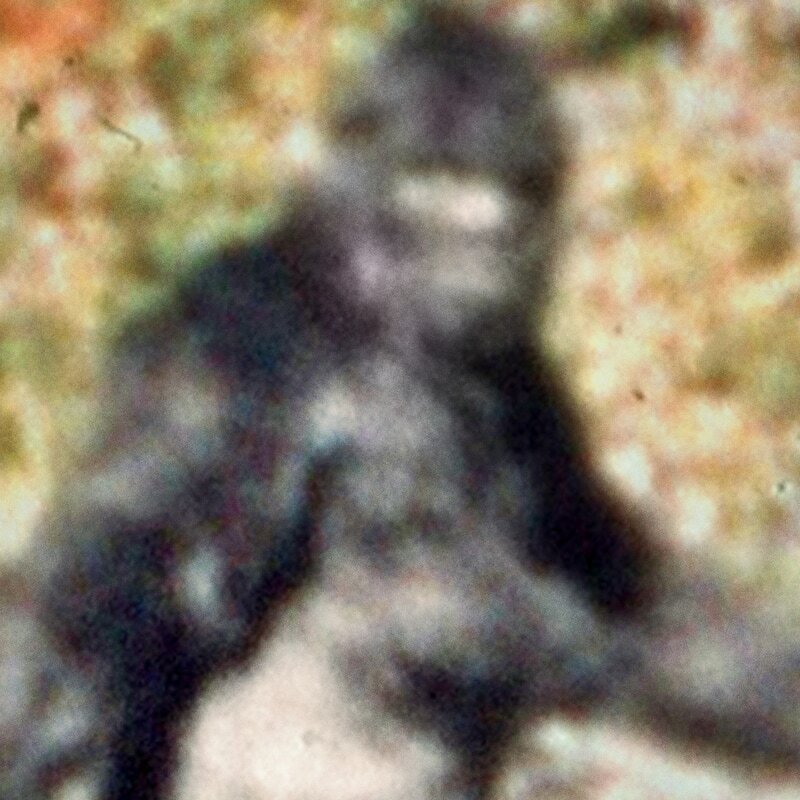 The Patterson-Gimlin film was, and remains, controversial. 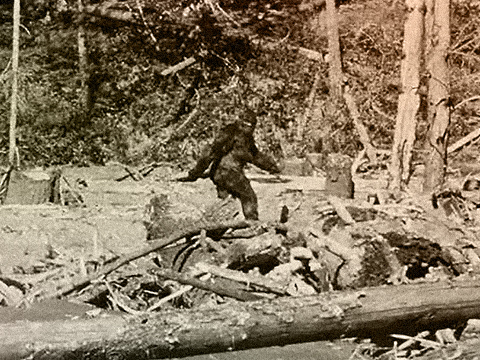 The reason for controversy is that bigfoot was, and remains, an uncatalogued species. If this were footage of a giraffe, there would be no controversy. The film has been studied for 50 years. Arguments supporting its authenticity come from experts and scientists in the form of research papers, books, lectures and videos. A fraction of those arguments are presented below, on this page. The strongest argument against the PGF's authenticity is "Bigfoot does not exist, therefore the video of the bigfoot is fake." Was the Bluff Creek Encounter Real? How do we know? Multiple experts have proven these things to be true: The film is authentic. The subject in the film is non-human. The footprints are legitimate. There's a lot of information below proving the PGF is real. But, if what you want is proof that it's not a hoax, then you should read this essay on the complete failure to debunk the film or prove it is a hoax. These "experts" are not bigfoot experts. They are experts in their professions and fields of study. 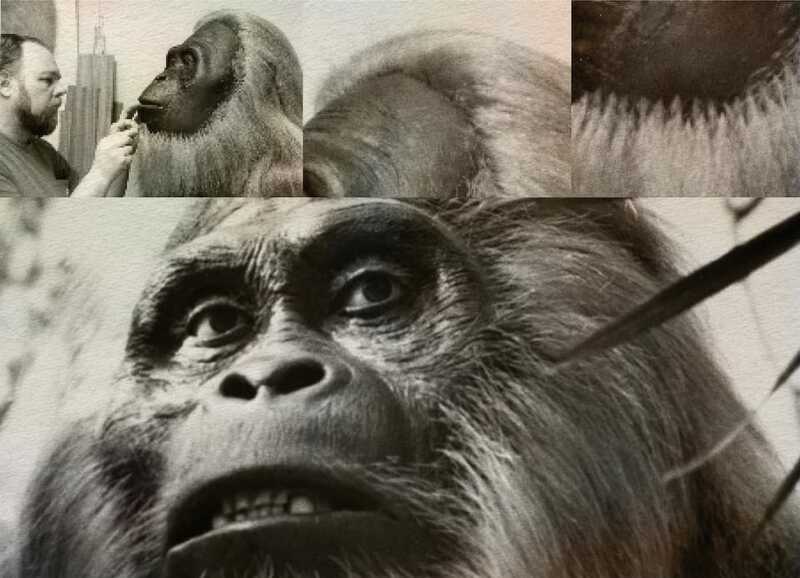 A Certified Forensic Examiner, A Hollywood Creature Designer, and Professor of Anatomy and Anthropology with expertise in Primate Functional Morphology. Their combined conclusions address the authenticity of the Bluff Creek Encounter from multiple points of view. A Certified Forensic Examiner. Performed three years of intensive computer analysis on the film. Special FX and Make-up Designer Authored the Munn Report and co-authored several papers supporting the authenticity of the film. Dr. Meldrum is an expert on foot morphology and locomotion in primates. a Professor of the Department of Anthropology at Idaho State University. Adjunct Professor of Occupational and Physical Therapy. From 1995 to 1998 an intensive scientific analysis of the Patterson/Gimlin film was undertaken by Jeff Glickman, a certified forensic examiner. 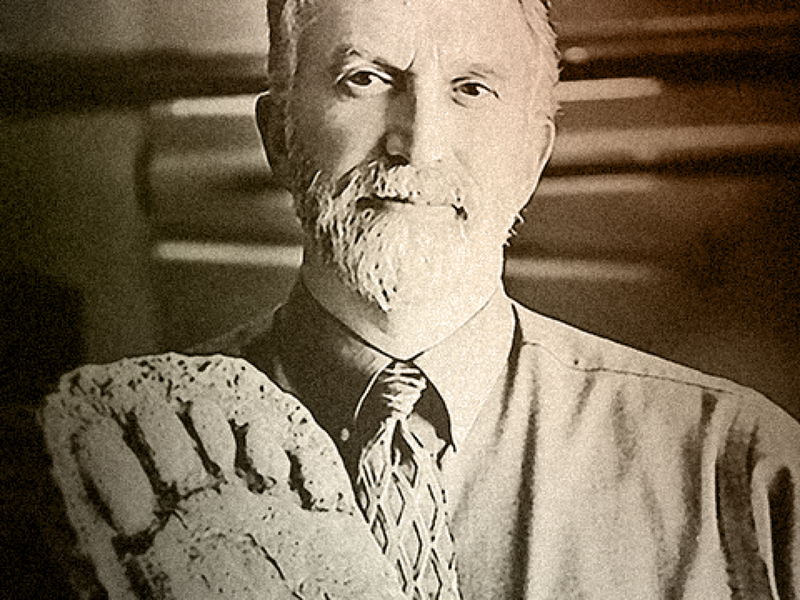 In June 1998, Mr. Glickman released a research report entitled "Toward a Resolution of the Bigfoot Phenomenon." 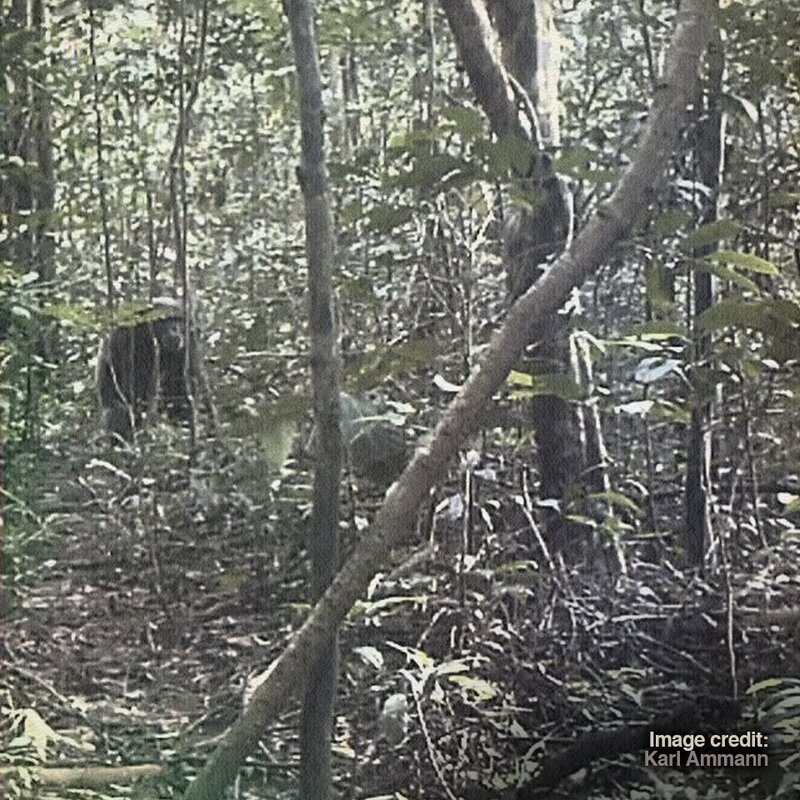 The report findings are highly positive that the creature filmed was a natural animal. Mr. Glickman declares the following in his closing statement: "Despite three years of rigorous examination by the author, the Patterson film can not be demonstrated to be a forgery at this time." 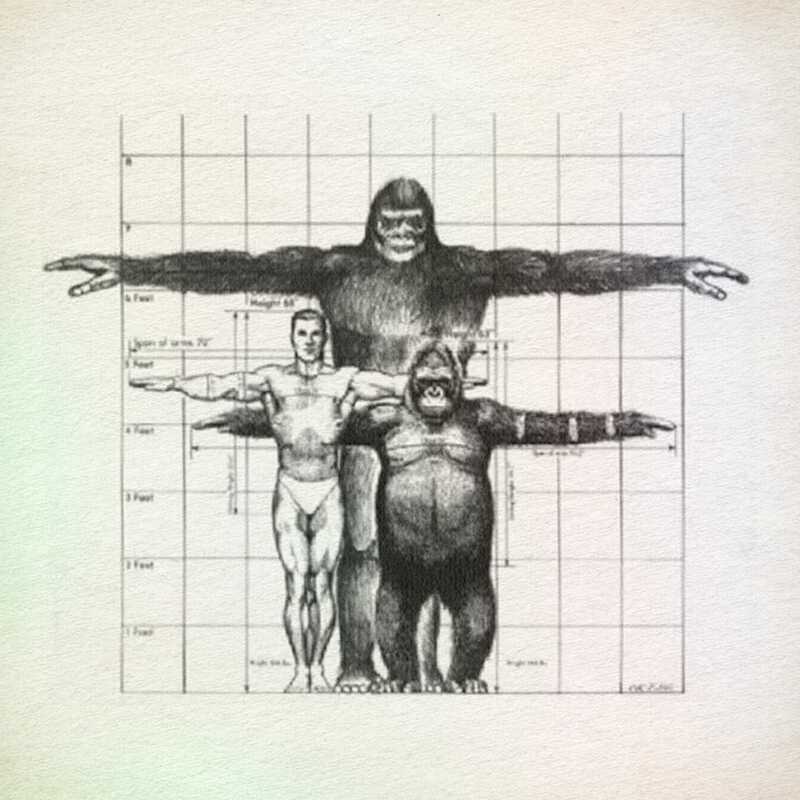 The subject’s hand appears to be between that of the gorilla and the human. Hand flexion is evident in the film, demonstrating that the hand is not a solid, inflexible prosthesis. 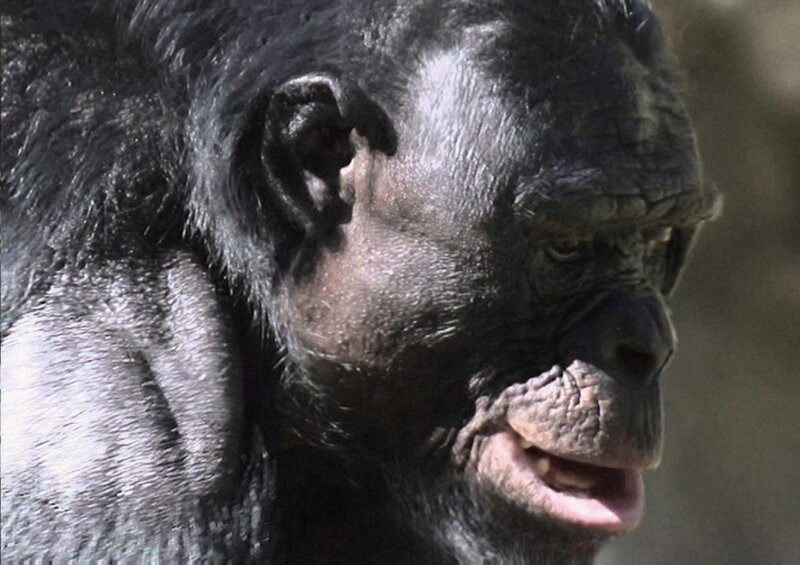 The face and head appear to be gorilla-like in profile, but human-like when viewed from the front. 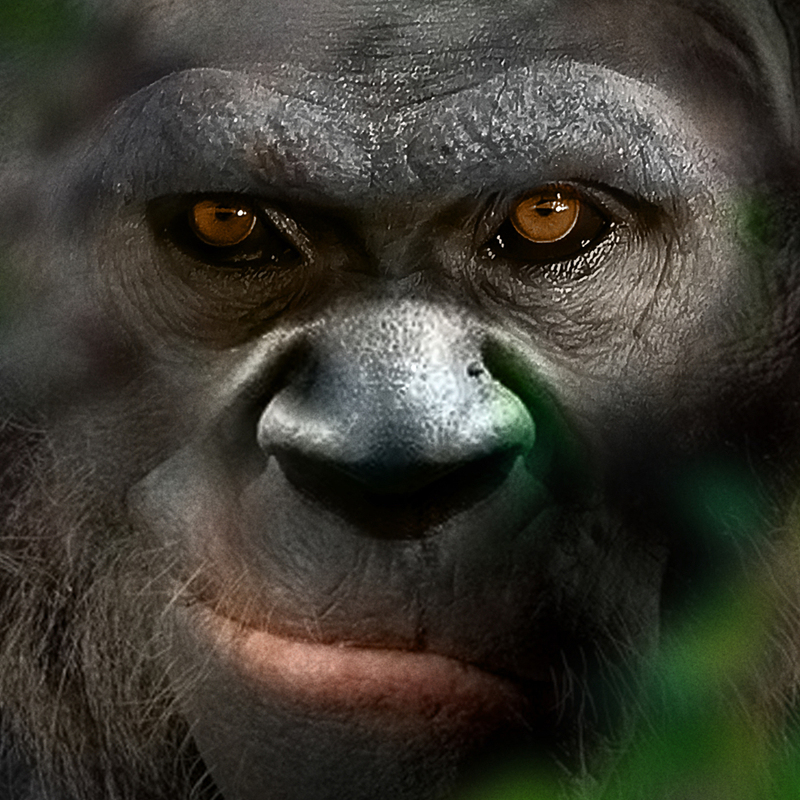 The relationship between the frontal brow, nose and mouth of the subject is between that of the mountain gorilla and the human. 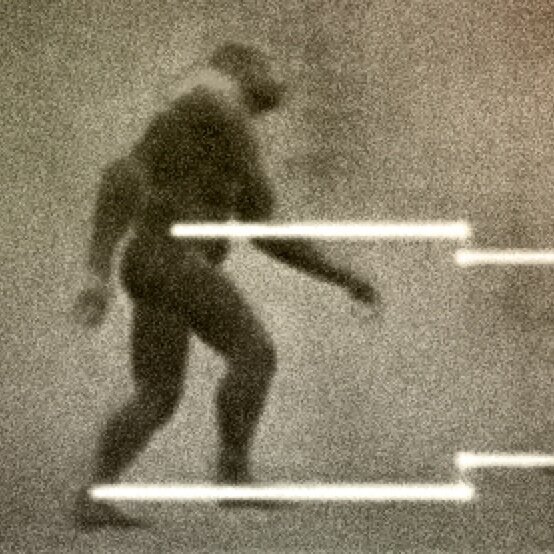 The kinematics section investigates the motion of the subject's knee as compared to that of a human and illustrates one of the muscle groups seen in motion in the Patterson-Gimlin film. A cycle for the human knee contains two distinct phases, a swing phase and a weight transfer phase. The film subject shows a more gradual transfer of weight rather than a separate phase. Assuming the subject knee delta is not overwhelmed with noise, the film subject is not employing typical human locomotion. For seven years Bill Munns analyzed the Patterson-Gimlin Film and studied the strange creature seen in the film with state-of-the-art technology. 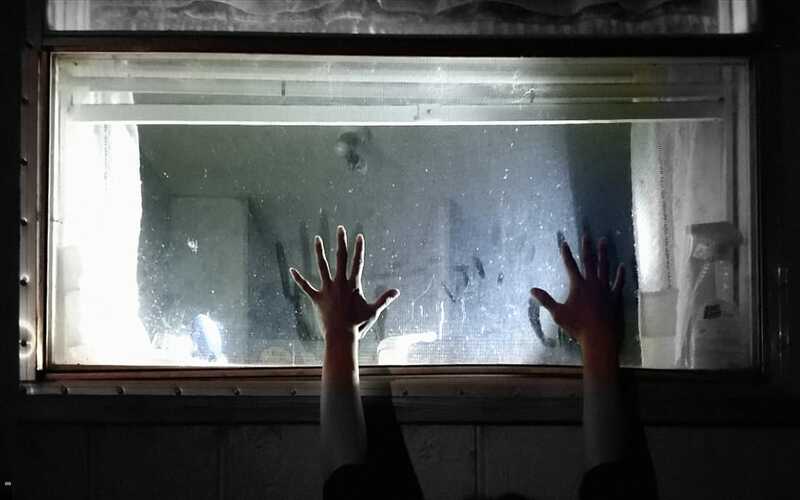 "The film is authentic and the “creature” seen in that film is in fact some real biological entity often called a “Bigfoot” or “Sasquatch” and is not a hoaxed figure accomplished with a normal human in a costume of any kind." The Munns Report is the culmination of that seven year research program. It focuses on the film itself, and the data within the film, to try and answer the simple question of what it is we see walking through that film. Is it really just a hoax with a human in a fur costume, or is it something biologically real, as it appears, something commonly called "bigfoot" or sasquatch?" The Bluff Creek Encounter site. Image Source: Copyright, 2003-2015, Steven Streufert, Bigfoot Books. ​​In terms of general foundation information, I should first clear up the issue of rubber suits. Fur costumes and "ape suits" do have rubber parts. 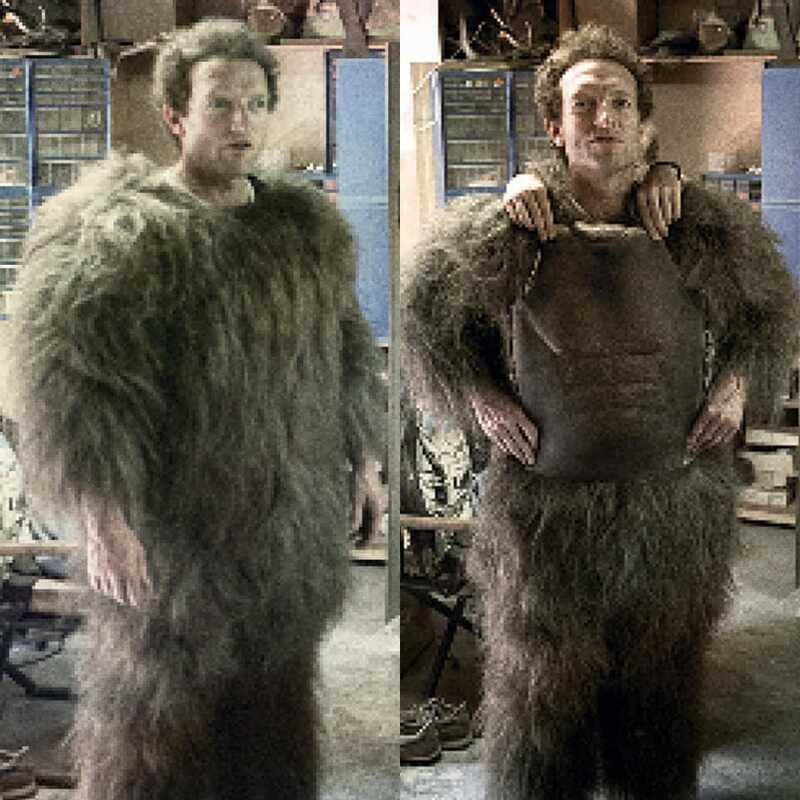 The design choices were what those parts were, how extensively they would cover the parts of the body, which rubber material was to be used, and what technique of hair transition was to be used to blend the fur into the skin areas for a natural look. Back in the 60's and even going on into the 70's, the choices were few, and they were all rubber. Foamed Latex was generally the best material, the most flexible and light weight. Second best was a molded section with a slip rubber latex skin, used for the outer surface, backed by a molded flexible polyureathane foam compound. Call it what you like, the film has definite examples of soft, non-muscular tissue. In 1967, we just had foam. And foam only does "flabby" well if it's shaped to look flabby and not moved. Once moved, foam tends to collapse. Today, with spandex-backed all-way stretch fur, the spandex fur will tend to impose it's one elastic shape dynamics on any fat suit gel mass underneath, and will not give a realistic "flab" look and contour motion to a fur covered suit. Look at the hair pattern from both the standpoint of real biology, and fabricated costume process. The Patterson Filmed Subject (PFS) has hair on the body, including a thick mass on the shoulder about where the deltoid muscle is. And the PFS has a near bare area at the fold of the armpit, so there's a transition of hair mass from very thick to thin or none, in a distinct pattern. This is the hardest transition to accomplish well, indeed so hard that most makeup artists avoid it in their designs. It has the highest prospect for looking bad, and that would discredit the artist doing the work. So in general, we avoid setting up the fur patterns of a costume to result in having to try this type of fur transition effect. would be forced to try and accomplish on such a suit, to achieve what is seen in the PGF. 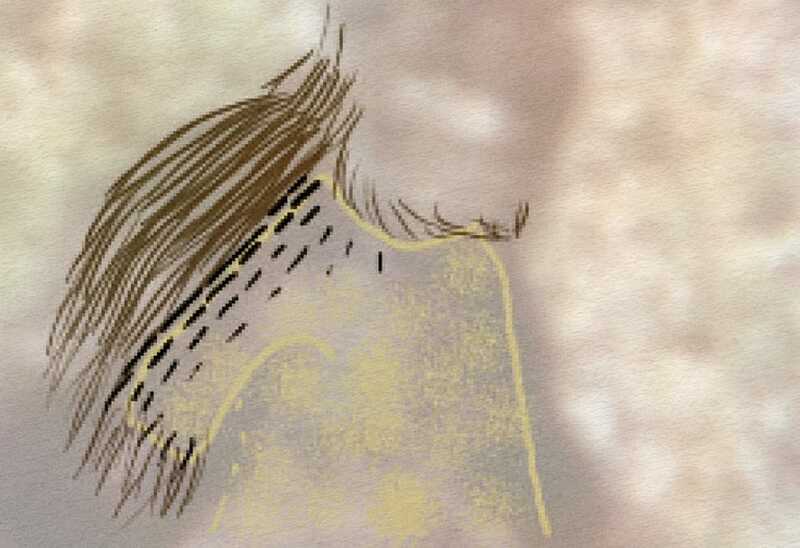 The transition from the dense tuff of hair on the shoulder top, to the almost bare armpit fold, represents the hardest hair transition effect we could design, the one we tend to avoid at all cost when making suits. So to argue for the Patterson Filmed Subject being a suit requires that we consider why such a challenging and often unsuccessful design of hair transition would be chosen, when easier and more successful options are available. 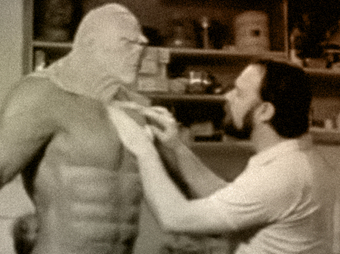 Conclusion: The characteristics of the Patterson Film Subject (hair, fat, and musculature) would be extremely difficult, and in some instances impossible to recreate using the limited materials available for creature/costume design in 1967. 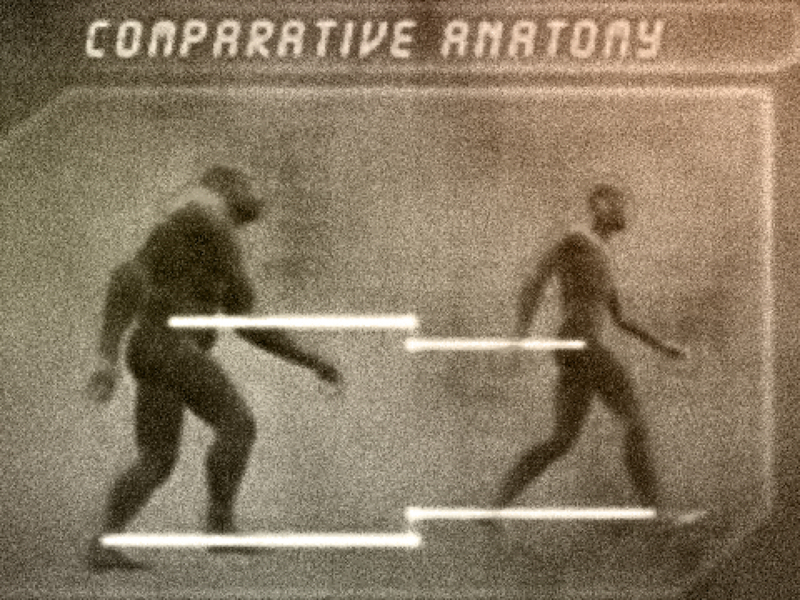 Bill Munns and Dr. Jeffrey Meldrum collaborated to study the Patterson Film Subject to determine, in terms of musculoskeletal anatomy, if it is biologically real, or costume material flaws (a hoax). 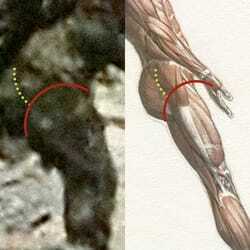 They studied the PGF hominid’s anatomy, compared it to human surface anatomy and great ape anatomy. Then compared it to fur costume design and form. the resemblance to real anatomy is not only apparent but prevails as the more probable explanation for the nature of the PGF hominid. 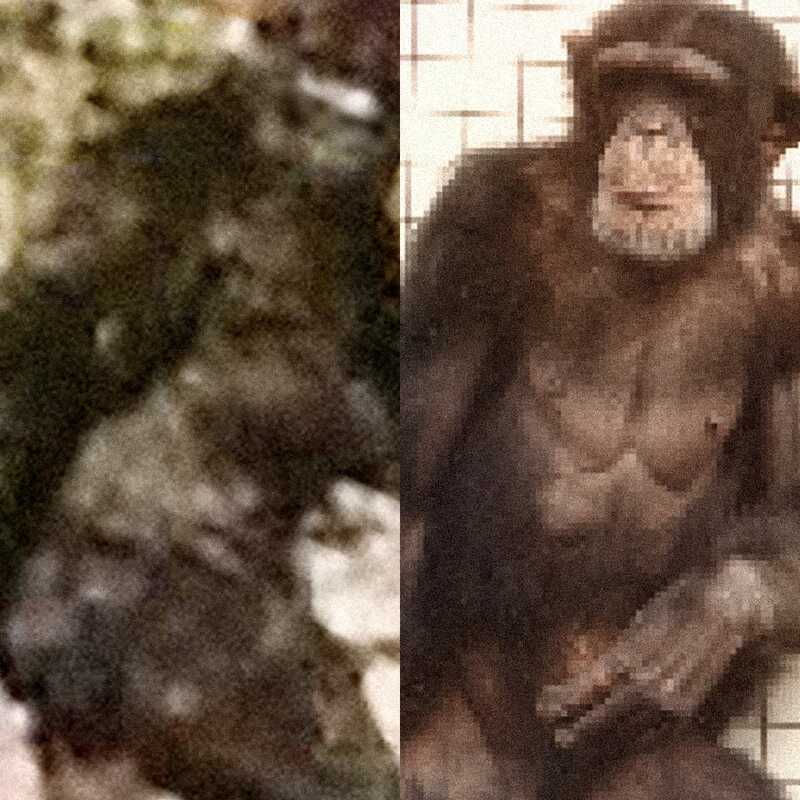 These observations support the conclusion that we are not observing a costume, but rather a real and novel hominid whose body has a modest natural hair coat. "The presence of equivalent surface anatomy features in the hominid body that are consistent with observed traits of the PGF hominid nullifies previous claims that such traits of necessity indicate a costume. Rather they are consistent with the conclusion that the PGF hominid indeed represents a novel primate species." How to tell a bigfoot from a man in a monkey-suit. 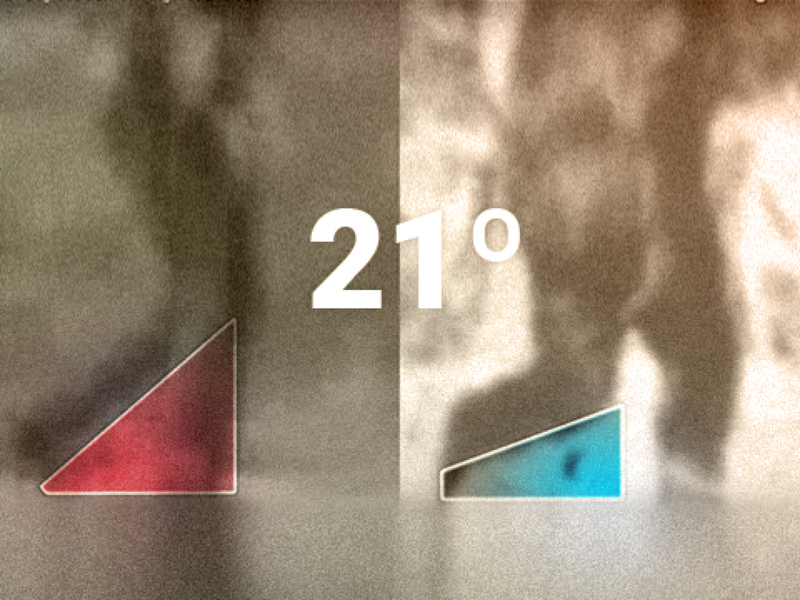 21 degrees between a bigfoot and you. © 2016 National Geographic Partners, LLC. Analysis of the Roger Patterson film footage as seen on National Geographic. Perspective on height and girth of the Patterson subject. The most famous frame of the Patterson-Gimlin Film. A brief discussion of the hair arrangement. Associate Professor of Kinesiology, California State University. 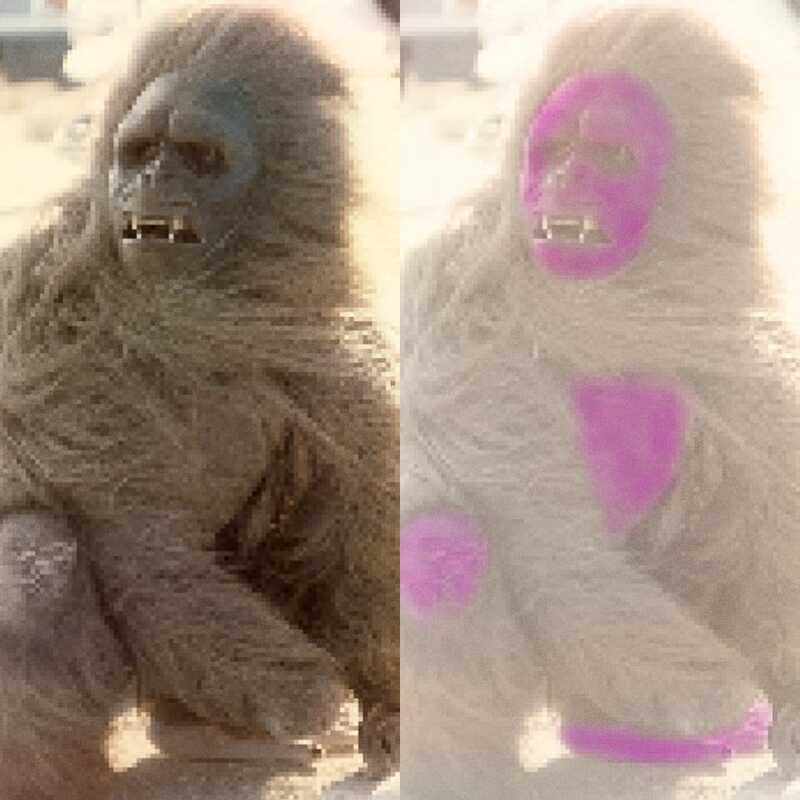 Authored "The Crested Australopithecus Robustus and the Patterson–Gimlin Film"
Animator and computer-generated effects expert. Grover Krantz (11.05.1931 – 02.14.2002) was an American anthropologist. He was originally skeptical of the Patterson film, based on the still photos in Argosy Magazine, but changed his mind in 1969 after seeing the film because "the realism of the creature's locomotion impressed him." M.K.Davis has been researching the Patterson Sasquatch film for the last 18 years. 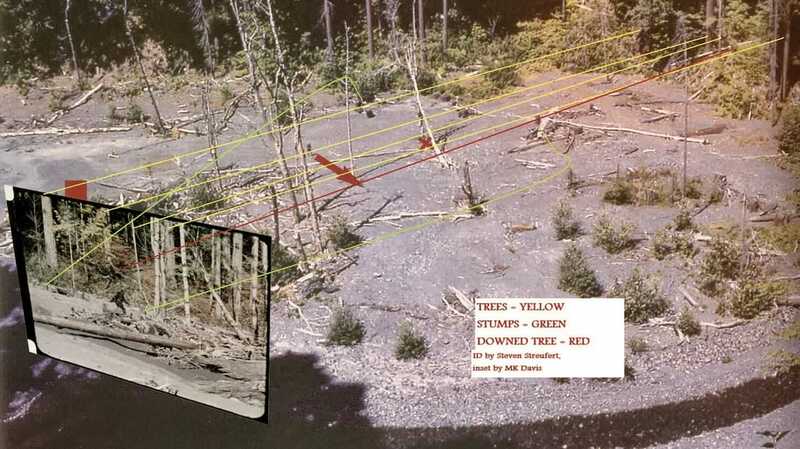 The Davis Report is an in-depth photo journal and analysis of the Patterson Sasquatch film. Chief of the Dept. of Biomechanics at the USSR Central Institute of Physical Culture. Donsko conducted a formal academic study of the PGF. If you really just have to see it to believe it, this will help get you started. A tutorial for finding Bigfoot locations using Google Earth maps. ​See the top 20 States for Bigfoot Sightings.